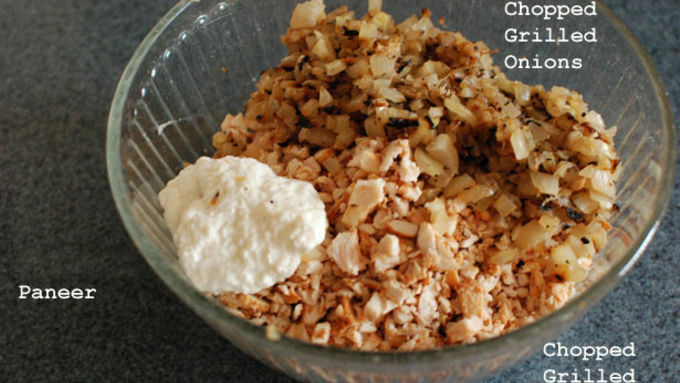 Make the Marinade: Combine the first 4 ingredients. Yogurt should be a nice shade of pink. Mix in chicken. Salt and Pepper Let sit in the fridge overnight. Grill Time: Slice the onions into rounds and butter, salt and pepper them. Skewer your chicken. 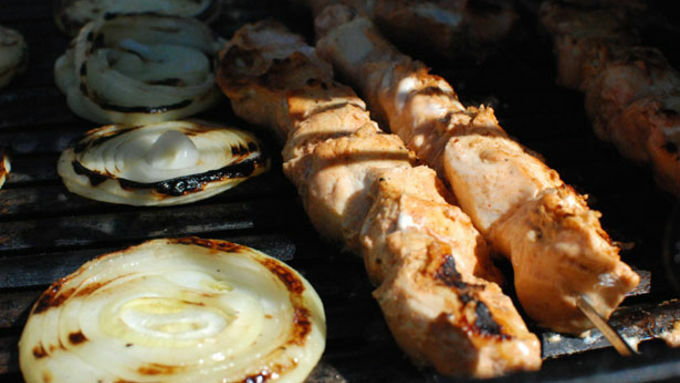 Give everything a nice char on the grill, cooking until the chicken is cooked and the onions are soft. Brown char marks are important! Make the Filling: If you can't find Paneer, you can substitute ricotta, ricotta salata, or any fresh farmers cheese. Add the cheese to a bowl with the diced chicken and onion. Make the pasta: Make your favorite pasta recipe (or cheat with wonton wrappers) Roll out the dough to a medium thickness and prepare to stuff. Stuff the Pasta: Any shape is fine. I made nice circles. Place spoonfulls of the filling in intervals on a sheet of pasta. 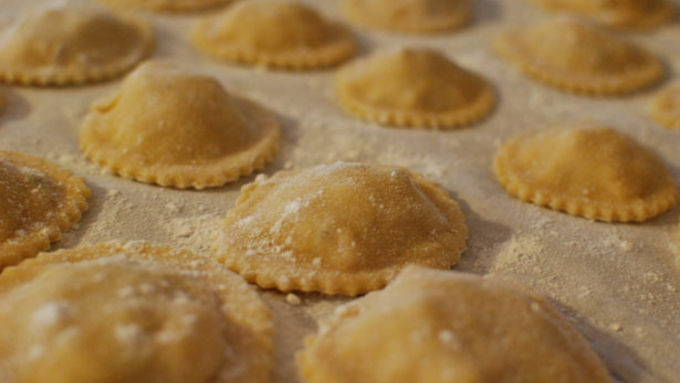 Use water to outline the filing to help the ravioli seal. Place another sheet of pasta on top of the first. Cut out the shape and squeeze to seal and remove air. Liberally sprinkle with flour as you lay them on wax paper. Make the Sauce: Make a paste from the chiles, ginger, garlic, and curry powder. Saute this paste in butter for 1 minute. Add tomatoes. Add cilantro. Add cream. Simmer 5 to 10 mintues. 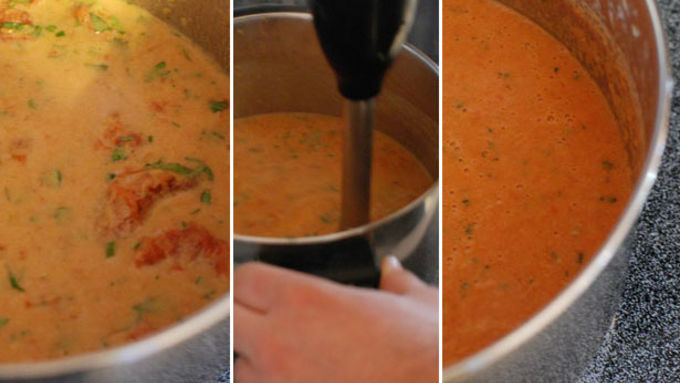 Optional step: If you use crushed tomatoes, you can blend the sauce. 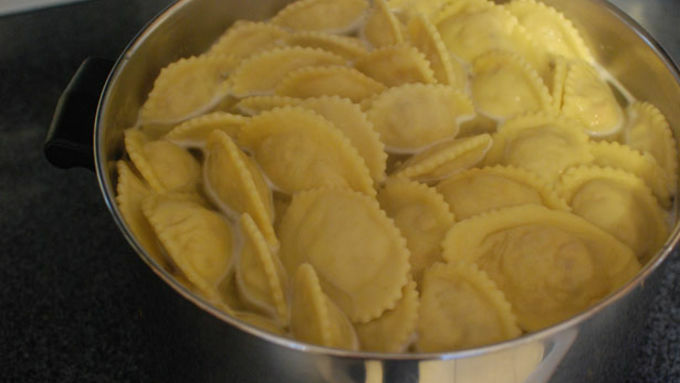 Boil Pasta: Boil the Ravioli for about 6 minutes. They will float, so keep stirring to make sure they cook evenly, but be gentle! Bring it together: When the pasta is cooked, add it straight to the warm sauce. Serve right away! Sprinkle some cilantro on top. Every once in awhile I get hit with a brilliant culinary idea, something that seems so obvious that it is hard to imagine why I didn't think of it before. Generally I go right to Google to do some searching and see if anyone already thought of it. Even though nine out of ten times it's already plastered all over the web, the feeling that I get for that one in ten... that feeling is pretty awesome. This was one of those times. This idea came to me one night while making a simple masala sauce for the British-Indian dish, Chicken Tikka Masala. As I was making it, I thought about how this process seemed really familiar. Lose the ginger and chile, add some parm, swap the cilantro for basil or oregano... it hit me how similar this sauce was to my normal Italian pasta sauce. From there I began to think of all fun ways I could play up this similarity. Normally I put tikka masala sauce over chicken. Normally I put Italian sauces over pasta. So why not put the tikka chicken INTO the pasta? 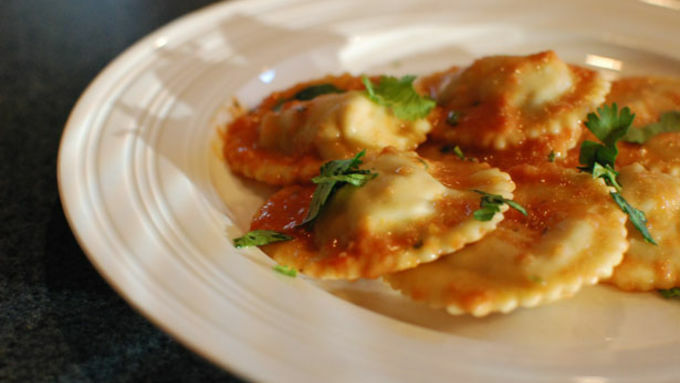 These Chicken Tikka Masala Ravioli are really unique in that they have grilled ingredients inside. 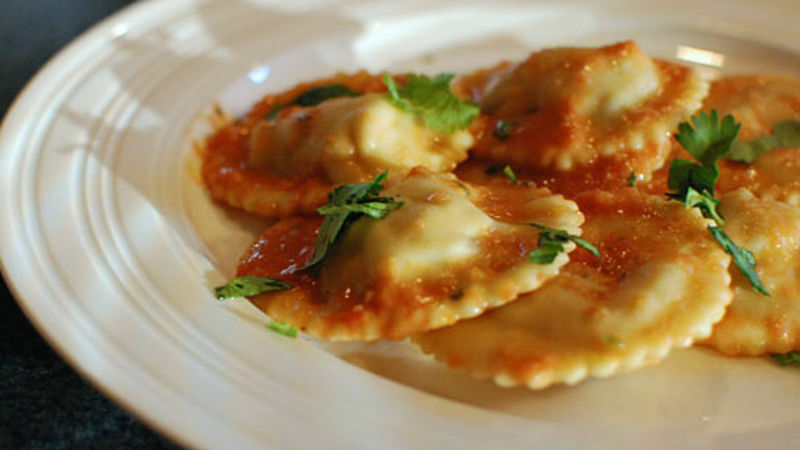 I have never tasted grill flavor in a ravioli and it is a really great flavor. A perfect meal. The surprise grill flavor, indian food mixed with pasta, what more could you want?